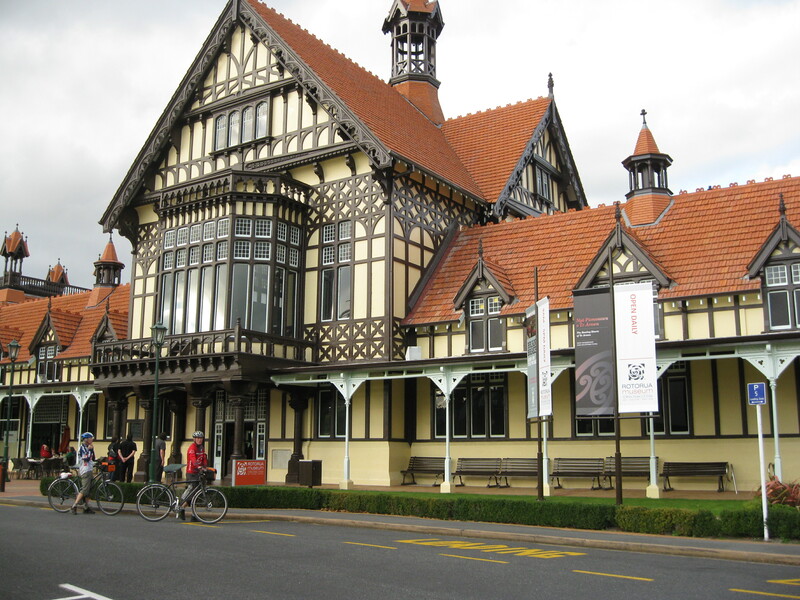 Rotorua is often jokingly called Rotovegas, because, like Los Vegas USA, Rotorua is a show town. Many of the country’s stars, like the great, now departed, Sir Howard Morrison, got their start playing the summer concerts down at the Soundshell on the lake front, in the old Tama dance hall at Ohinemsutu or the city’s many tourist hotels. Some of the country’s greatest Kapa Haka, or Maori Concert Parties, call Rotorua home. A Maori concert is a not-to-be-missed Rotorua experience. You’ll quake at the force and energy of the haka, or posture dance, marvel at the skill and beauty of the twirling pois, at the dexterity of the waiata-a-ringa or action songs and at the magical harmonies of a mass of golden voices. 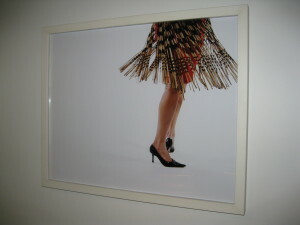 Then there’s the rhythmic click of the swinging piupiu, or flax skirts. You can catch some the of best Kapa Haka performances nightly at any one of the hotels around the city and at lunch time at Te Puia Village. 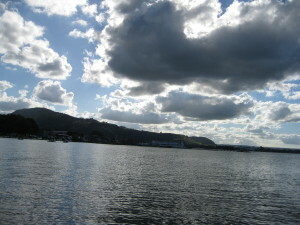 Lake Rotorua! As a child returning from holidays it was my first glimpse of home. Later, leaving for supposedly greener pastures, it was my last. 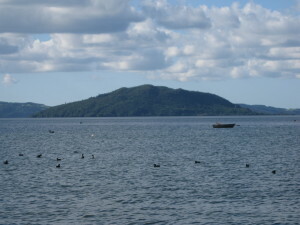 Still, now hen I think of Rotorua, I see the lake, with Mokoia at its centre, silver and smooth on a clear fine day, dark and crimped with waves under a cloudy sky. It gave the town its name which means second lake. It also gave it, its reason for being. The first Te Arawa settlers built their villages on the lake shores. The British colonists founded the town, which has now grown to a city and which spreads in an ever widening circle around its edge. They form the setting for the romantic tale of Hinemoa and Tutanekai, one of Aotearoa New Zealand’s greatest love stories. On the eastern shores of the lake lived the beautiful Hinemoa, the daughter of a paramount chief. Many young hopefuls sought her hand in marriage but none was deemed worthy by her family. Across the water on Mokoia Island lived Tutanekai, the youngest, but cleverest, bravest and best looking, of a large family of brothers. The two crossed paths at a hui or tribal gathering, where Tutanekai and the other young warriors of the district had come to display their skills in weaponry. All the chiefs of Te Arawa and their families had come to watch. When Tutanekai spotted the beautiful Hinemoa in the crowd it was love at first sight. When Hinemoa saw Tutanekai’s handsome face and skill with the taiaha, she too was smitten. When Hinemoa’s parents intercepted the longing looks between the two, they were horrified. The lowly-born Tutanekai was no match for their daughter. They kept her under close guard in the whare and for good measure, secured all the family canoes high up on the shore-line. The love-lorn Tutanekai returned to Mokoia where he spent hours at the lake’s edge playing mournful tunes on his flute. On the other shore, Hinemoa heard the faint strains of Tuatnekai’s love songs and knew that he was thinking of her. One night, unable to bear the separation any longer, she tied two empty gourds around her waist to keep her afloat and swam across the lake. When she arrived at the island, chilled to the bone and exhausted, she headed to the warm pool Waikimihia to recover. Before long, Tutanekai’s slave arrived to fetch water for his master. Disguising her voice as a man’s, Hinemoa called ‘Mo wai te wai?’ (For whom is the water?). When the slave answered ‘Mo Tutanekai’ (For Tutanekai), Hinemoa seized the calabash he was carrying and dashed it on the rocks. When the slave returned to Tutanekai without the water, Tutanekai went to confront the villain who had smashed his calabash. When he saw Hinemoa, he was overcome with joy. The two lovers were together at last and Hinemoa’s family had no choice but to accept Tutanekai as her husband. From the union of Hinemoa and Tutanekai comes one of the great Te Arawa dynasties. Mokoia was also the scene of one Te Arawa’s darkest moments. Hearing that their arch enemy, the Ngapuhi chief Hongi Hika, was on his way down the coast with a large war party, the people of Te Arawa retreated to Mokoia. 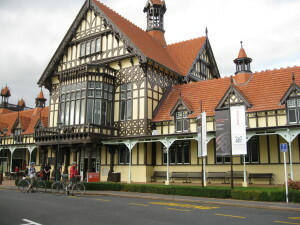 As there was no navigable waterway from the coast and therefore no way that Hongi could bring his canoes to Rotorua, they believed that they were safe on the island. But they didn’t count on Hongi’s cunning. He had his people drag the canoes overland through the dense up steep hills and down gullies until he reached the shores of lake Rotorua. On Mokoia, the Te Arawa could only watch in terror as the lake churned with the thousand paddles that brought their inevitable death closer and closer. Today, fittingly, Mokoia is home to a Taiaha school where young men learn the traditional arts of weaponry. Tourists can take a launch across the lake to enjoy bush walks, see some native birds and soak in Waikimihia. The lake has always been a great place for boats; canoes gave way to dinghies and yachts and speed boats and more recently peddle boats and kayaks have joined the flotilla. It used once to be great place for swimming to but for many years now it has been infested with a thick, slimy and virulent weed, which makes it unpleasant if not impossible for swinmming. The search for a way of ridding the lake of weed has continued for years now. The Polynesian Spa, in Rotorua’s Government Gardens, has soothed the weary bones of tourists and locals alike for almost a century and a half. The miraculous power of the thermal spring water that feeds the Polynesian Spa were first discovered 1878 by Catholic priest, Father Mahoney. A few months of daily dips so visibly alleviated his crippling arthritis that other suffering clergy and parishioners followed suit. Soon the word was out and visitors from all over the world began to make the pilgrimage to the healing pools. 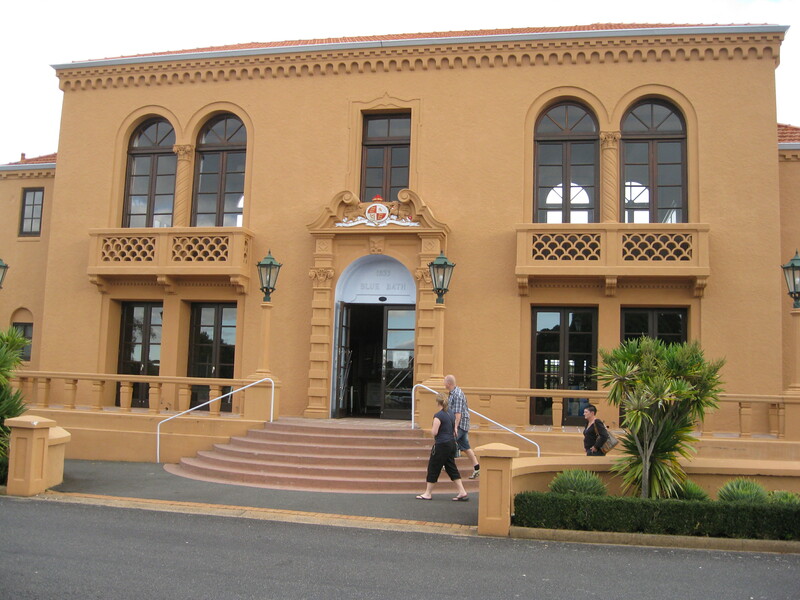 In 1882 the Pavilion Bath House was built. 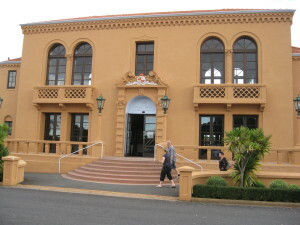 It served until 1931 when it was replaced by the Ward Baths. 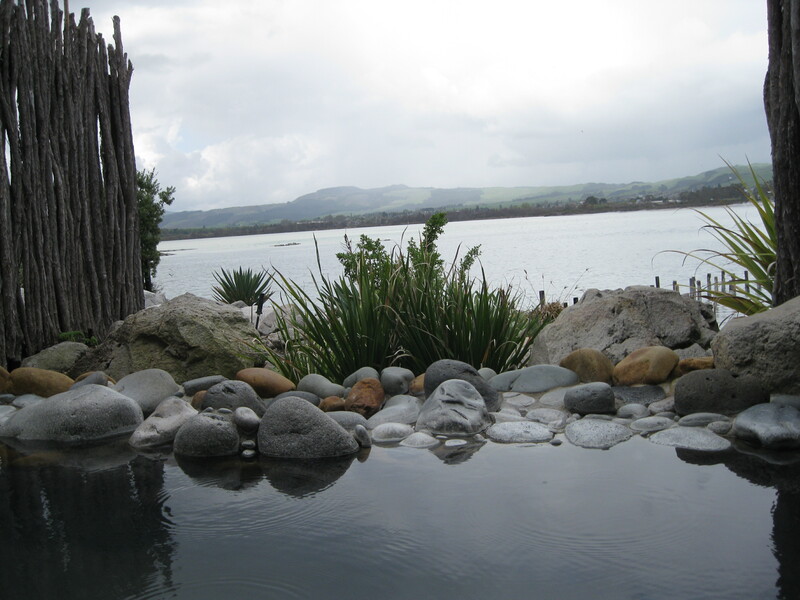 In 1972, Polynesian Pools Ltd took over the lease of the old, and somewhat run down baths and over the last 50 years has developed them into the luxurious, state-of-the art spa that exists today. Counted among the top 10 world spas, the Polynesian Spa offers a wide range of fabulous therapies. It also offers thermal bathing in 26 different kinds of pools, including deluxe, adult-only, private and family pools as well as a large freshwater chlorinated pool for those who simply want to splash about. No matter how you approach Rotorua, in the centre Aotearoa New Zealand’s North Island, you’re assured of some spectacular country. 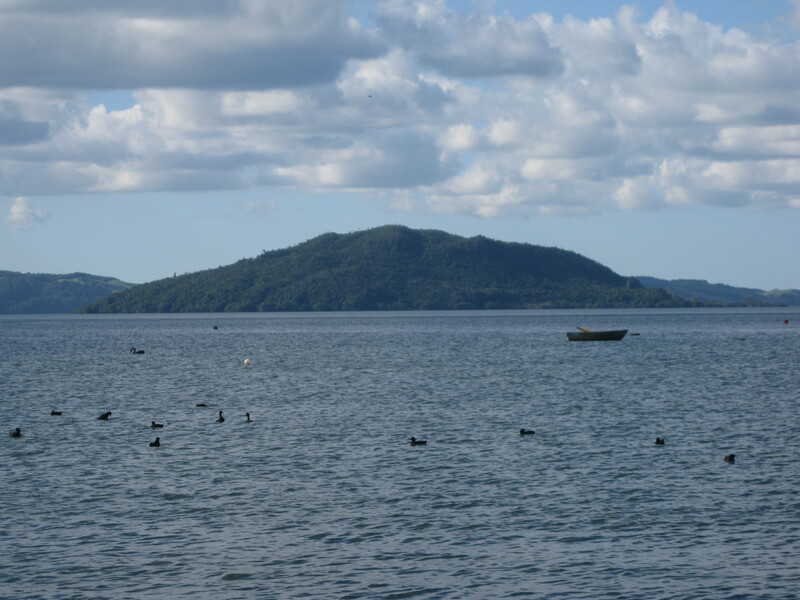 Come from the North and you’ll cross the steep, rugged Mamaku Ranges, winding up and down through the bush until suddenly, the road straightens and there, just below, is Lake Rotorua, with Mokoia Island at its centre and the city spread around its shores. Come from the east and you’ll follow a string of smaller lakes – Rotoma, Rotoehu and Rotoiti. You’ll pass by scorched, steaming, sulphur encrusted Tikitere thermal park, then through a small stretch of farmland until suddenly, there just ahead, is the island, the lake and Rotorua. Come from the south and you’ll travel through plantations of pines, then through dry, pumice land where steam curls upwards from breaks in the low scrub and where the scent of sulphur hangs in the air. Finally you crest a hill, round a bend and there before you is Rotorua. Fly in and you’ll look down on farms laid out like crinkled green quilts, dark stands of pine, dense blue-green bush, bleached, steaming volcanic country and spread across it is a vast pattern lakes of totally impossible colours.